by Youth Ocean Advocate Hannah S.
In the summer, a lot of things rise. Temperatures, the number of tourists, and prices all come to mind. The beaches get fuller and crystal-clear water is coveted. However, the shores of the Puget Sound are not to be taken for granted. Harmful algal blooms, or HABs, are increasing in frequency and density and are negatively effecting the waters of the Puget Sound. A HAB is caused by phytoplankton and algal substances reacting to an increased temperature and nutrient presence. They can come in an array of colors, including green, red, orange, or brown. These phytoplankton are always present in the water, but it is the more favorable conditions of summertime that draw them up from the deeper water levels. During the winter, the harsher weather conditions disperse the plankton throughout the water column. When temperatures rise and weather calms, the ocean layers become more stratified, or layered, and the plankton rise to the top of the water. The increased exposure to sunlight and higher nutrient concentration provides excellent growing conditions for them to flourish. These algal blooms generally consume large quantities of oxygen in the water, even competing with native wildlife. Some varieties, such as the alga Alexandrium, can be harmful when ingested by humans through the consumption of shellfish. The bivalves will take in large amounts of the algae when filter-feeding and it will build up in their systems. Although it is not harmful to them, it can cause paralytic shellfish poisoning (PSP) in humans and marine mammals that ingest the shellfish. In the Puget Sound, these blooms are short lived and mild. However, rising temperatures and sea levels can increase their intensity and frequency by expanding the range of seasons in which they can bloom. In 2006, there were widespread closures due to PSP concerns in the Puget Sound area. These blooms also affect the ranges of various marine species, as their presence can choke out the nutrients and oxygen in a swath of oceanic terrain. HABs, though frightening and a very real threat to the Puget Sound ecosystem, are a manageable threat. 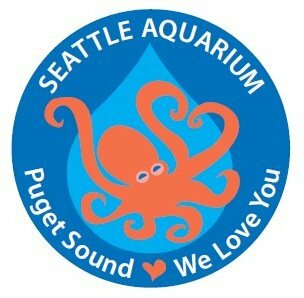 Your contributions, both at the local, household level and overall, are absolutely vital to protecting the biodiversity of the Puget Sound’s waters. Besides, without managing this threat, how else will we get to enjoy oysters and hidden shore-side summer alcoves?